Lunch served to as many as 100 children from the neighborhood of La Pintana. We will also be doing different workshops for the children. 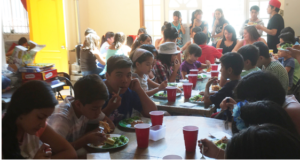 We usually meet at Church at 9:15am and leave by 9:30am and then leave Casa Esperanza around 1:30pm. Times may vary. Contact Dawn at dawnbking02@gmail.com for more information or to confirm you would like to go.